With increased production of ethical rose veal, veal sweetbreads can now be enjoyed without the guilt. They are a great way to start discovering offal for those who may baulk at the idea of heart or brain. 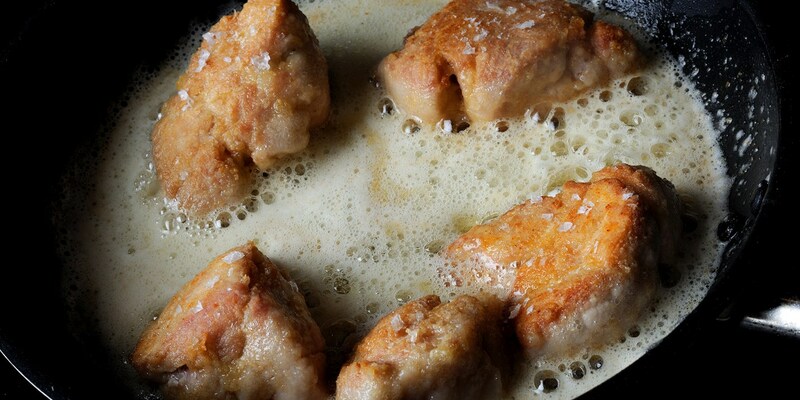 Richer in taste than the regular meat and muscle, there is a sweeter taste to sweetbreads (the pancreatic and thymus glands) than more conventional cuts. Chris Horridge's exciting veal sweetbreads recipe is a stunning dish, with the parsnip foam giving a twist to this main course. Adam Simmonds serves his creation of roasted veal sweetbreads with an intriguing combination of cockles and cauliflower couscous. If trying sweetbreads for the first time, why not try Alan Murchison's sweetbread beignets - beautifully crisp, bite-sized pieces paired with a rosemary and onion cream.